Manage your website • registrations • rooms • staff in only a few clicks with our class management system. Accept bookings online and synchronise your scheduling app with Google calendar. 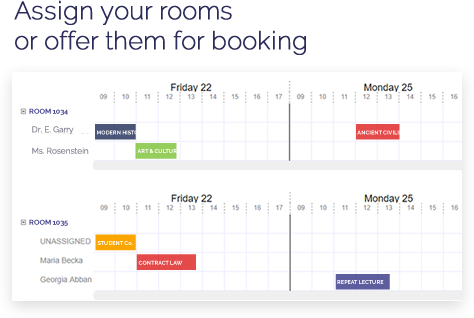 Manage your staff’s hours and room availability from a single place, and set registration for any period of time. 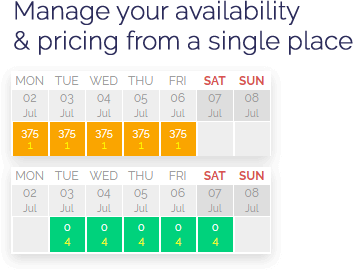 Set your pricing plan, add offers, define special dates, and auto-repeat weekly pricing policies with a few clicks. 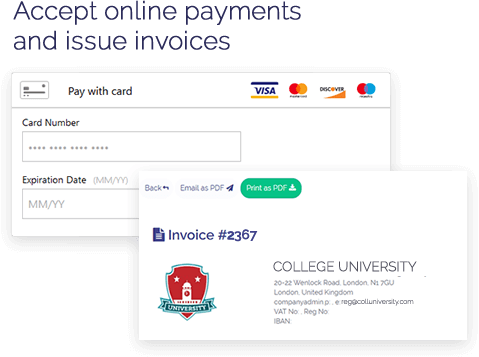 Enjoy multiple points of business, issue electronic invoices, keep records of your clients, send booking confirmations, reminders and alerts, all from a single place! 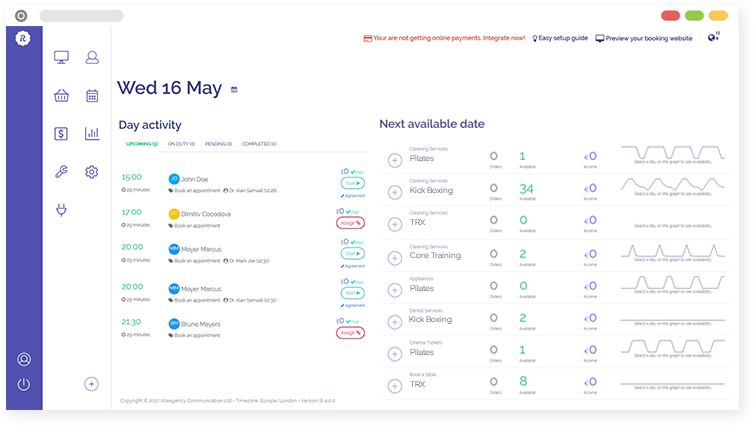 Reservation engine helps gyms and training centers accept bookings, automatically assign resources and set their timetable on the fly. 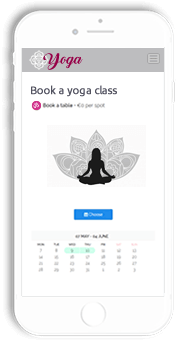 Reservation engine helps yoga centres showcase their work and offer their classes for booking online with predefined availability options. 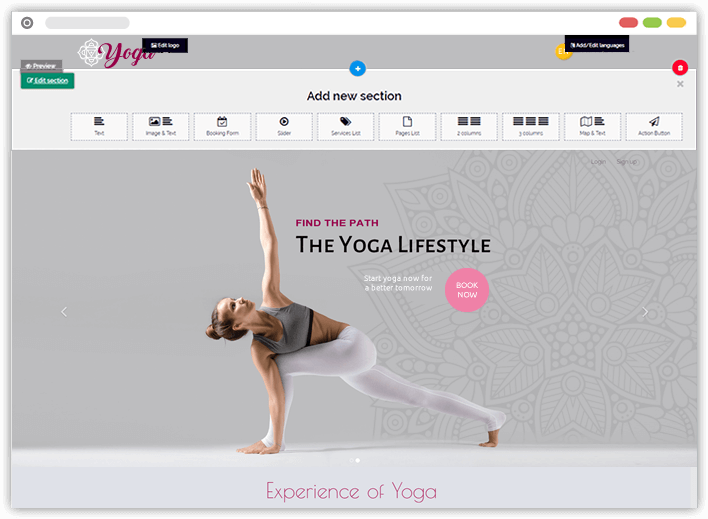 Reservation engine helps dance schools advertise their services on the web and provide online registration of their classes. Reservation engine helps sports clubs manage their timetable, offer its courts and spaces for booking to members, and allow for online registration or membership renewal. Reservation engine helps educational institutions manage and edit their timetables, assign rooms and offer course registration online. 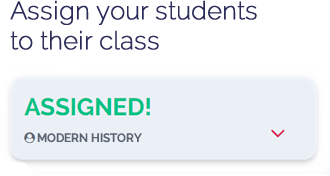 Reservation engine helps individuals and institutions schedule the time and price of their online courses and offer them for booking online. Reservation engine helps libraries rent their books out both online and manually, while they automatically maintain a complete history of their clients and their bookings.